As any fule no, I’m bit of a sucker for instant photography, but I’ve had a frustrating time with Polaroid Originals film. The black and white was good, but I had nothing but trouble with colour, and the camera I was using produced streaky and patchy prints that annoyed me every time. At nearly two quid a picture, it just wasn’t good enough. I exchanged a series of complaints with Polaroid Originals, which eventually resulted in them giving me a partial refund and a 20% discount code. However, I didn’t feel confident using their films again, as I was sure I’d keep having the same problems. 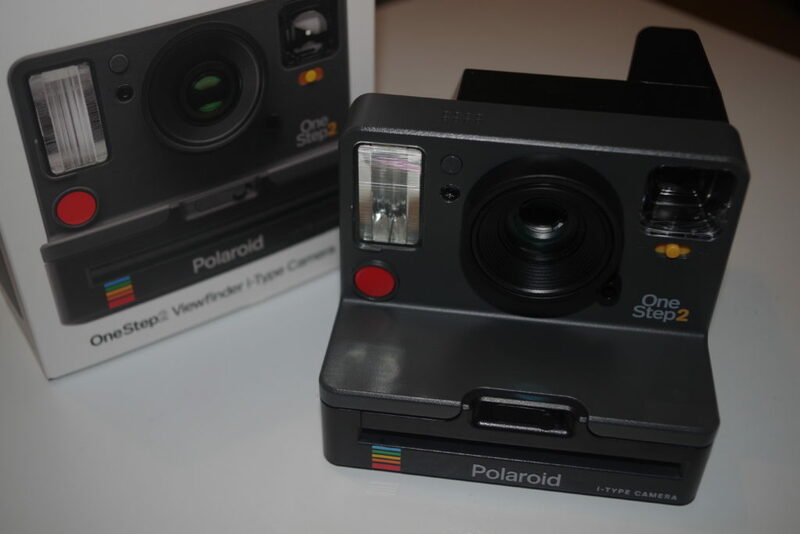 I recently sold my old Polaroid camera on eBay. It’s clear that the films currently on sale are much more temperamental and fragile than the older pre-bankruptcy ones, and that seemed to be at the root of the issues I was having. Old Polaroid film worked fine in my camera, but the new films didn’t. Having researched things a bit, some people were having similar problems to me, but other people were getting much, much better results. I wanted to give it all one more try, and a combination of the 20% discount code and a Black Friday offer persuaded me to buy a new OneStep 2 camera. This is a modern take on the classic Polaroid point-and-shoot cameras of the 70s and 80s. I figured a new camera under guarantee was my best chance of getting good results, and the camera would also be optimised for the rather different characteristics of the new films. The deal I got on the camera and six film packs was pretty amazing, and enough to convince me to part with the cash. It all arrived today. I’ll start by reviewing the camera a little. It has the same appearance as the OneStep SX-70 cameras of the late seventies, but with a built-in flash and considerably updated innards. It’s still quite basic and has similar controls and functionality to older Polaroids, including the lighten/darken switch. Rather sensibly, it has a built-in rechargeable battery, which means you can use slightly cheaper film packs that don’t have a battery in them. It came in a lovely box, with comprehensive instructions, and on unpacking it, I found a camera slightly smaller than I was expecting, that’s a nice solid-feeling object and a suitable homage to the original. 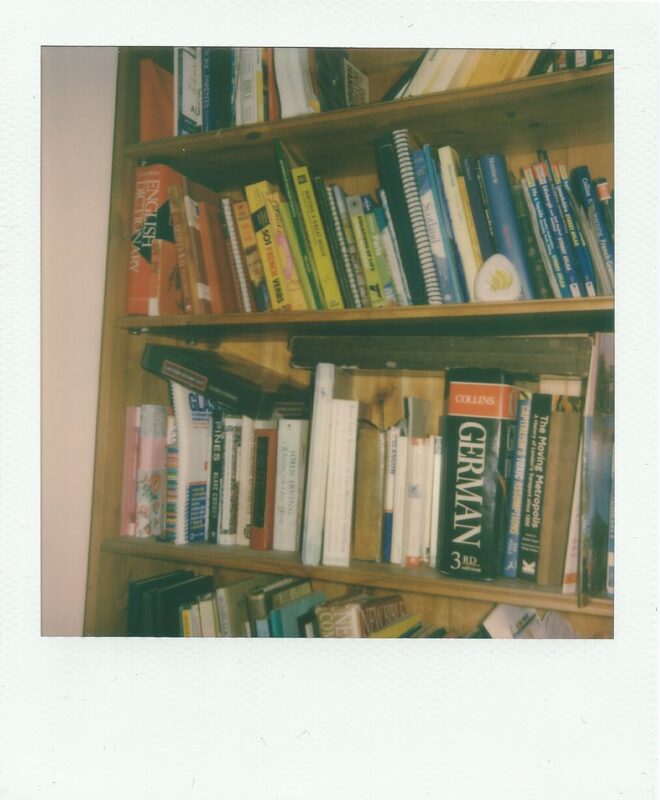 As someone familiar with traditional Polaroids, I knew where I was with it immediately, and I didn’t have to read the instructions to know what I was doing – I did anyway, though, and they’re very thorough. I loaded up a colour film pack, and I’ve shot a couple of pictures so far. Unfortunately, Polaroids have always performed best in bright conditions, and in Scotland in November there’s barely any daylight at all, so I had to make do with a couple of indoor flash shots of very dull subjects. I was dreading bad results, but I’m pleased to report that so far, it’s looking promising. 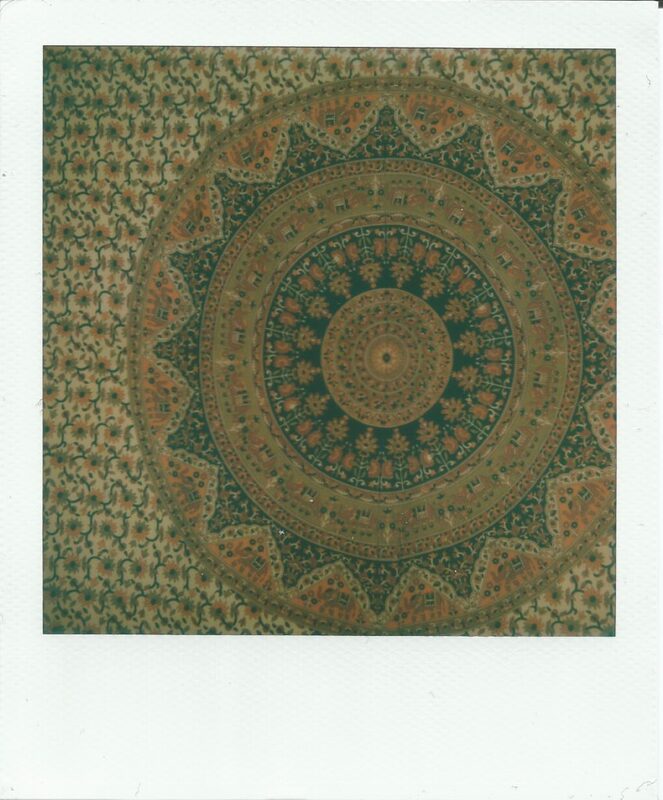 First shot with the OneStep 2. I have to be honest, it’s dead boring, but hey, something had to be first. Bookcase. Reasonable colour, reasonable exposure, no streaks, decent developer spread, lo-fi look. Nice. For a start, the camera has a robust film shield which covers ejected photos to protect them from light – this is a big problem with Polaroid Originals. If they’re exposed to light immediately after exposure, the pictures will be ruined. I left the pictures in for a good few minutes before I risked taking them out. On inspection, things looked like they were working much better. Even at an early stage of development, I could see that the developer had spread far more evenly than with my old camera, and the exposure and focus looked good too. It’s lead me to conclude that, despite their best efforts to make film that works with them, Polaroid Originals film is sufficiently different to older films for it to be very difficult to use in vintage cameras. The new cameras and films are clearly somewhat more compatible with each other, and that’s a very good thing. Although using the OneStep 2 is very much like using a vintage Polaroid, I think it’s probably best to go into it understanding that the results will be unpredictable and different to the Polaroid films of the past. Perhaps this is why I was disappointed before – I was expecting things to work much as they’d previously done. I didn’t realise just how much work Polaroid Originals had done to bring the film back – it’s been reformulated from scratch, and many companies in Polaroid’s old supply chain no longer exist, so it’s been quite a challenge. Having understood that a bit more, I can begin to forgive them a little for the problems they’ve encountered. That said, I think perhaps they’ve been hyping things up a bit, and anyone who comes to Polaroid from the rather more predictable and stable world of Instax is in for some potentially expensive surprises. Anyway, fingers crossed this might actually work. If I get on with it alright, I might dare to try one of the vintage cameras again, but in the meantime, I think I’m going to have some fun with the OneStep 2.